Google Panda: The SEO Guide #infographic ~ Visualistan '+g+"
Google Panda finally wakes up from it's long slumber as Google rolled out the latest update. The Panda Update by Google has been incredibility slow after its very first iteration. After the latest Panda Update 4.2, Google confirmed that it is going to affect 2-3 % of queries, much less percent than its previous updates. The update was rolled by Google to improve the quality and relevance of search results for the users. The algorithm works as a filter that prevents low quality sites or pages from ranking well on Google search results. Not only just pages, it affects the ranking of whole website. Google wants webmaster to produce high quality content without duplicate content, improve user experience and avoid keyword stuffing, so as to rank well on the coveted top ranks of the search engine. Google's Panda Update has been shaking up the world of SEO since its inception back in 2011. Now, its time that we actually comprehend what it is all about and how is it going to affect the ranking of a website on Google. 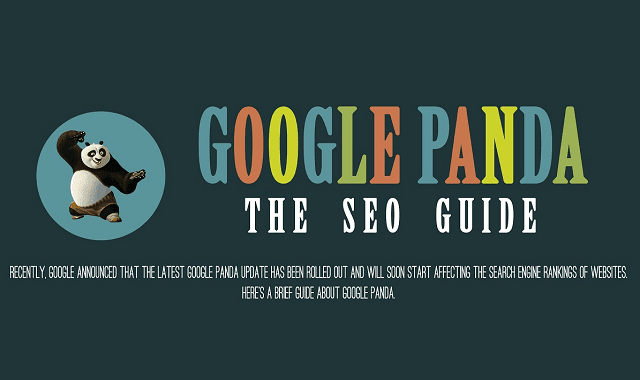 Here's the visual guide that summarizes the Google panda update.